"Since our inception, we have been using our personal laptops for our advocacy projects and activities and these new devices from Lenovo changed that. Now that UP GRAINS has its own set of devices, all our members can have access to laptops especially when out on the field," said John Albert Caraan, Project Head of Lakbioteknolohiya. UP GRAINS is a service-oriented academic organization that promotes agriculture through various activities involving agricultural biotechnology. It was formed by Bachelor of Science in Agricultural Biotechnology (BSABT) students at the University of the Philippines Los Banos. Lenovo recognizes the youth organization with the most meaningful project that addresses key social issues through the innovative use of technology. Aside from the award, the winning organization also received brand new Lenovo units- YOGA 520 and IdeaPad 320 laptops. "As a leader in the technological industry, Lenovo injects excitement and vibrancy by driving innovation that exceeds expectations and creates meaningful impact. It suffices to say, that we are in an excellent position to help promote the benefits of technology to the public. Through our partnership with TAYO Awards Foundation, we get to know all these brilliant youth organizations, and together, we could create a huge impact in addressing the country's concerns through technology. 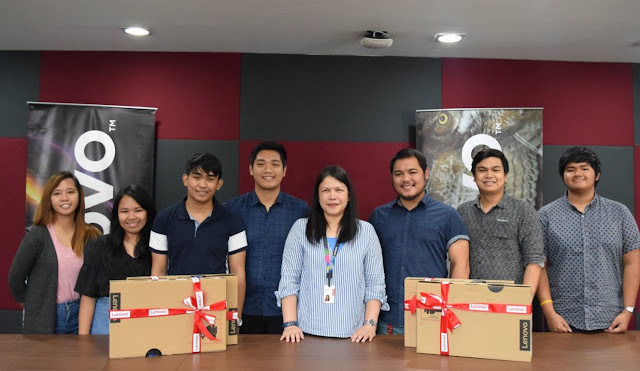 It is inspiring to see young people make an effort to build a better community, and it is our pleasure to contribute in this," said Michael Ngan, Country Manager, Lenovo Philippines. TAYO Awards Foundation spearheaded The Search for Ten Accomplished Youth Organizations that recognizes and supports the outstanding contributions of youth organizations in the country. Lenovo has been the exclusive technology partner of TAYO Awards since 2012.